We have a $5 Barnes & Noble Gift Card to giveaway to one lucky winner and it could be you! This is a Members Only Draw offered by Freebies.com for our members! Use your points to buy entries into prize draws you'd like to win. When the time is up, we'll do the draw! Your chance of winning this Members Only Draw depends on how many entries you use, and how many other Freebies.com members enter. If you’re not yet a Freebies.com member yet, don’t worry, you can sign up for your Freebies.com membership here and earn an extra 500 bonus when you sign up and confirm your email address. Registering for your membership is quick and totally free, and you’ll start earning points right away! It’s so easy and fast to earn points here, check out our post on How to Earn Points so that you can enter more of our giveaways! Remember, only Freebies.com members can earn points to redeem great prizes in our exclusive prize draws. Not only will you get updates on the latest and greatest freebies, coupons and discounts, giveaways, and external prize draws, you’ll earn points to enter draws like this one! One of the quickest and easiest ways to earn points is by completing our daily polls and answering riddles and trivia questions. We post new questions every single day so that you can earn more points to enter more sweepstakes! To enter this sweepstake click on the “Win This” button. Each entry costs 50 points, which will be deducted from your All Time Points bank. 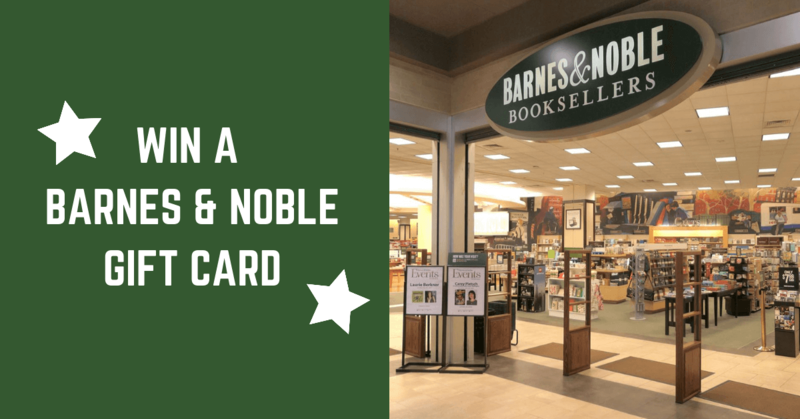 You can enter an unlimited amount of times, so feel free to stock up on entries for prizes you’re really excited about, like a $5 Barnes & Noble Card! IMPORTANT: Participants MUST update their current mailing address in the Freebies 'My Account' page, scrolled down under 'Personal Info'. This is the address we will ship your prizes and free samples to if you're selected. If a member is selected without a valid address in their Account, a new member will be randomly selected.